The roaring 20’s saw the prominence of flappers, jazz singers and women’s rights. Let your girl embrace this decade with a pretty Flapper Costume. A Gatsby style outfit will be always elegant! 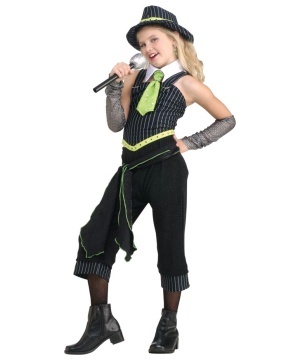 Select 19020s Costume accessories like a Flapper Wig or Hat to complete her look. Enjoy a secure shopping experience and great prices. In the years following the aftermath of World War I, there was much worldwide prosperity and a newly found world wide interest in the arts and new forms of technology. This era is often referred to as “The Roaring Twenties” in popular culture due to the ideals of decadence and indulgence that were propagated following the tough times experienced during the first World War. Social and cultural advancements took place in major metropolitan areas such as New York City, Los Angeles, Chicago, Paris, New Orleans, Philadelphia and London. People were generally doing well and everything was booming, especially interests in things such as the fine arts and other creative aspects of culture. “Modernity” was the largest collective ideal to come out of the 1920’s, with so many advancements in technology at such a suddenly quick pace, almost anything seemed possible with technology. The 1920’s gave rise to some of the most popular technologies we use today, such as automobiles, radio, and moving pictures or “movies” as we call them in the modern day. Another very important cultural aspect of the 1920’s was the women’s suffrage movement, which culminated with women gaining the right to vote in the United States and thus setting an example for the rest of the world. 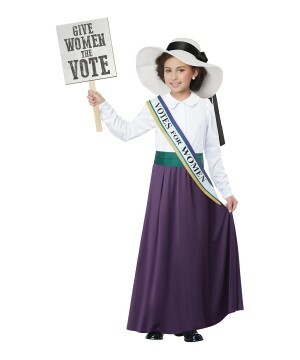 If your little girl has sparked an interest in this era lately, dress her up in any one of our 1920’s Girls Costumes! Some of the more popular ones are our Flapper Costumes, the flapper style was a popular and daring style of dress among women in the 1920’s and with the release of the feature film The Great Gatsby has sparked popular interest as of late.